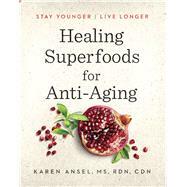 Karen Ansel, MS, RDN, CDN is a national nutrition expert, journalist, and author who regularly contributes to leading women’s, health, and cooking magazines. Her work has been featured in Woman’s Day, Cooking Light, EatingWell, Fitness, Shape, Oprah, Dr. Oz – The Good Life, Weight Watchers, Family Circle, All You, Prevention, SELF, Yoga Journal, Parade and Women’s Health. She is also the coauthor of the Amazon bestseller and 2011 IACP finalist The Baby & Toddler Cookbook: Fresh, Homemade Foods for a Healthy Start (Simon & Schuster). She is also a contributing editor for Woman’s Day magazine a nutritional consultant to corporations, and an advisor for the United States Healthful Food Council. Karen is a past spokesperson for the Academy of Nutrition and Dietetics and was previously an adjunct instructor of nutrition in the department of Nutrition, Food Studies and Public Health at New York University. She lives in Long Island, NY with her husband and two teenage daughters.